Stuck while trying to figure out what to buy for your upcoming Christmas gift exchange? Or for Secret Santa? I'm not the biggest fan of Christmas gift exchanges for a very simple reason - I don't always get to use the stuff I'm given, and I find that a huge waste. 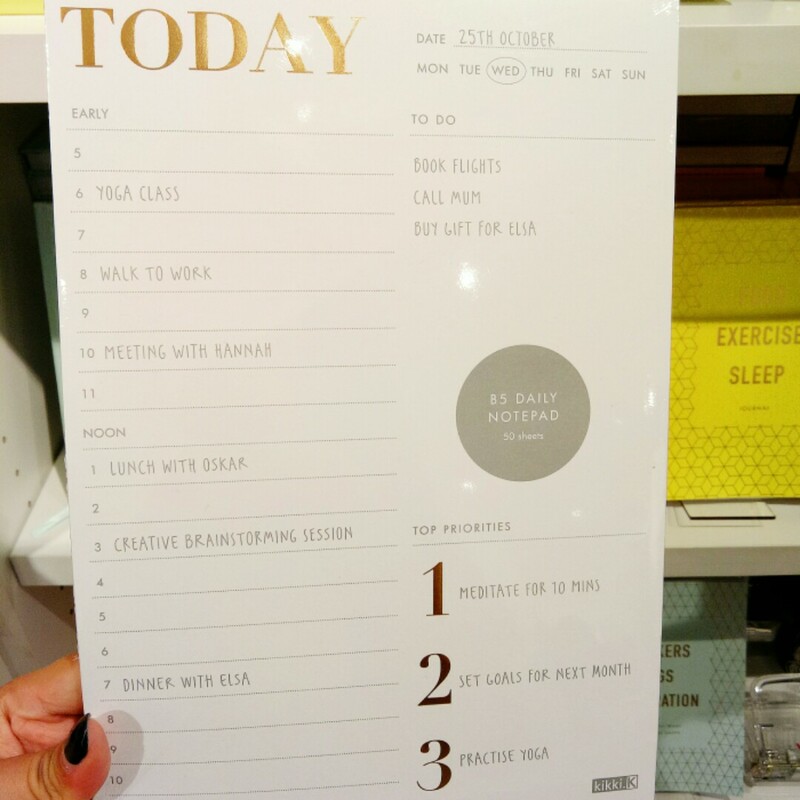 When I shop for gifts, I always focus on practicality and whether I think the recipient will use it. I'm always stuck when it comes to buying a Christmas gift for my bosses, but my friend solved my problem for good when she highlighted that a gift from a social enterprise will probably be the best, because it makes the recipient (i.e. your bosses) look good as well! 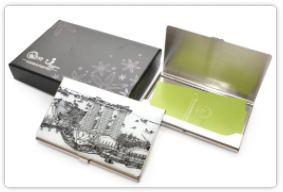 Check out these amazing namecard holders designed by autistic students from Pathlight School here. Can you imagine these holders being a key talking point for your bosses when he/she meets future clients? Bingo! 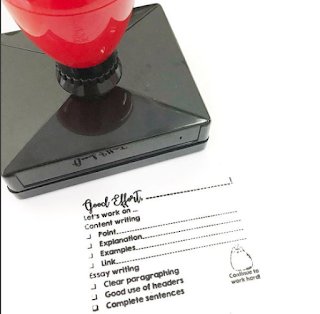 Teachers have a love-hate relationship with marking, but they're an evil necessity in order for our students to improve. As such, help them customize a stamp to make their lives a little easier! You can personalize a stamp using their names as well, such as "Mrs Tan likes this" to make their marking a little more fun! Price: $13 and up. Get it here at More Than Good. 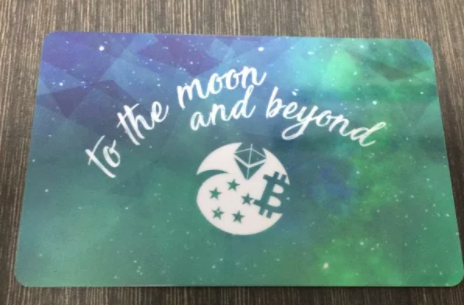 Give your investor friend a gift that will keep on growing - a pre-loaded Ethereum card! Second only to Bitcoin in the cryptocurrency universe, Ethereum has grown from $1 to $735 this year, and will likely continue its long-term uptrend. Price: $5 (for the card). Feel free to load any amount of ether as you desire. Viu Premium all-access pass with priority viewing, so she can watch her favourite K-drama episodes as fast as 8 hours after it airs in Korea! 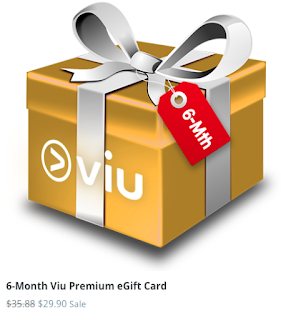 I used this on many of my trips this year, and it was a great hack to saving money on my budget airline flights where entertainment systems aren't provided, since you can download episodes or even movies in HD and watch it offline! The rise of the green skincare movement is taking the beauty industry by storm, with its focus on plant-derived ingredients and eliminating harsh chemicals made in a lab. 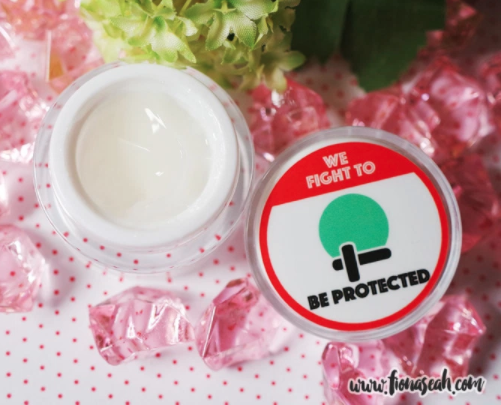 Get your friend this organic gel sunblock, made specifically for Singapore's weather and from a blend of 100% natural and certified organic ingredients. Ever wondered how you'll look like as a LEGO character? 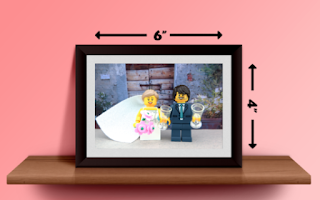 Wonder no more, as Two Three Bricks will turn your photo into a LEGO print and put your curiosity to rest! Get it here. 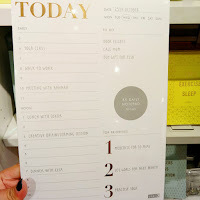 This lovely rose-gold planner at Kikki.K and thought it would make such a elegant gift for the workaholic to get their schedules under control. I've already requested for this in my Secret Santa this year! The most practical gift? Vouchers! I don't care what people say about vouchers being a lazy gift, because at the end of the day, no one really likes that mug / notebook / chocolates you've giving either, so you might as well give them something they'll actually get to use! Seriously, I'd be elated if I get vouchers in a gift exchange, because every year I get stuff that I don't really want or care for. Most of them just go into the wardrobe where they never see the light of day. Otherwise, if you're not sure who will be getting your present (if it is a random office exchange where you pick numbers or names out of a hat), I can assure you these vouchers below will be well-received no matter who your recipient is! And the best thing is, you don't even need to restrict yourself to any of these brands! 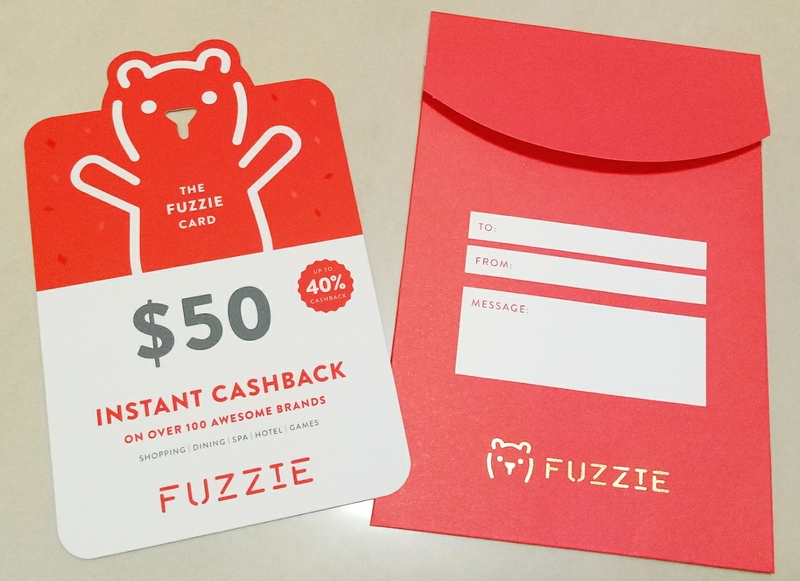 My top pick for this season lies in a little-known app called Fuzzie, where you can purchase a gorgeous Christmas gift card to give away. I discovered the Fuzzie app thanks to a tip from a reader, and was blown away by the type of merchants they have on the app. 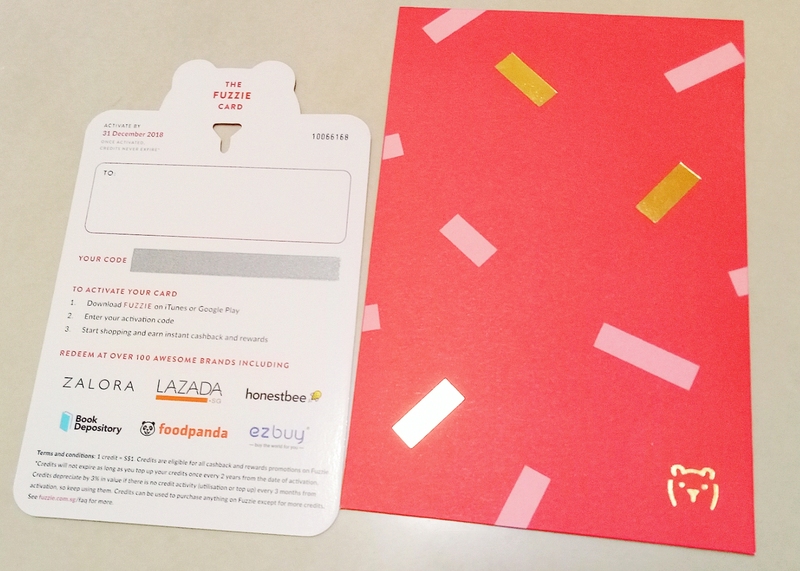 Some examples include Grab, Klook, Zalora, Qoo10, Lazada, Shopee, Book Depository, Costa Coffee, Naiise, Deliveroo, honestbee, Food Panda, Guavapass, Amore Fitness and more! Look out for the Ultimate Cashback Guidebook which will be released in a few weeks, where I'll elaborate more on Fuzzie and how you can maximise your cashback on the app (on top of stacking with your miles / cashback credit card!). Pssst, if you want an additional $5 with your first purchase (minimum $5 spend), use my affiliate promo code SGBB2018 when you sign up for the app here. Hahahaaha. I like this post! Especially the gift for "the investor". 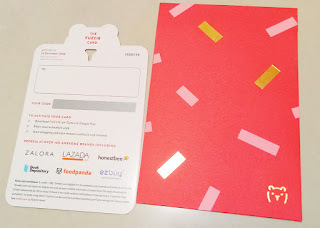 This gift sounds like a combination of "angbao" and iTunes topup card. Best part, giving it to someone who hates the guts out of crypto. "Forcing them to take a stake in them when the realize the powerful world out there. Wow. Great ideas. I'm now contemplating whether to get some stuff from the list for myself. LOL! Good hor hehe I was sick of scouring so many Xmas gift ideas posts that had NOTHING I wanted to get to give away, so I created one that I would personally use! Practical 100% max haha.